To appear in a publication like Make Parts Fast you better be able to, well, make parts fast, especially when it comes to a vital medical implant. 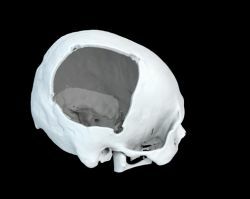 Geomagic® Freeform® software and the AccuShape™ process by MedCAD®, enabled medical designers to do just that. Jiahone Guo had taken a knee to the head during a club soccer match. The resultant injury left him in a life-threatening condition: the swelling in his brain was squeezing his brain stem. As a result, doctors had no choice but to remove a section of Guo's brain to relieve the pressure. "At the time of the injury, I told the family it was a 50/50 chance of survival," said Dr. Rob Dickerman, director of neurosurgery at Presbyterian Hospital of Plano, in an interview with WFAA-TV in Dallas/Fort Worth. 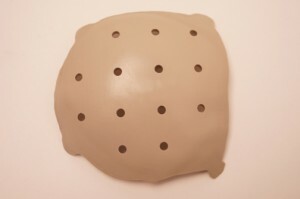 Click here to find out how MedCAD used Geomagic Freeform to design a precise, customized prosthetic skull plate from CT data and how this prosthesis has allowed Guo to resume a normal life. "I can do anything," he told WFAA-TV,"I can drive, I can walk, I can think."